Chelsea were an integral part of the punk fabric in London in 1976/77. With Tony James, John Towe and Billy idol leaving to form Generation X, charismatic skipper Gene October eventually put together the classic line-up that would produce punk anthems such as Right To Work, Urban Kids and Evacuate. 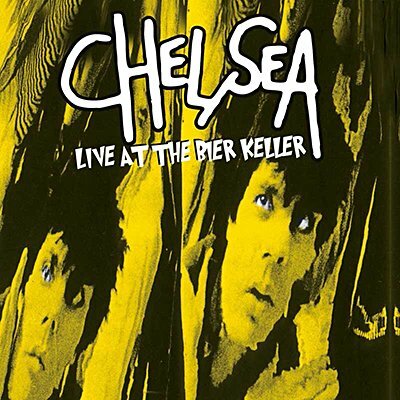 Missing out on the major label backing of their more famous counterparts, Chelsea continued to bring an explosive live set to iconic venues such as Blackpool's notorious Bier Keller where their undiminished, raw power was dished out with little regard for anyone standing in the way. Interference proudly presents a prime chunk of British punk with the complete live performance from London's original punk stalwarts Chelsea, live from the Bier Keller in Blackpool on 8th December 1983. Professionally re-mastered original sound recording with expansive liners, interviews and rare archival photos.